Facebook just changed one very important part of WhatsApp. The messaging app, which was acquired by Facebook in 2014, begun to share its users’ phone numbers and usage information with the social network as part of an effort to build out its own business communication platform. The change marks the first time WhatsApp is formally sharing user data with its parent company. It’s also a move that some users have been dreading since Facebook’s acquisition was first announced. Luckily, there is a way to opt out. 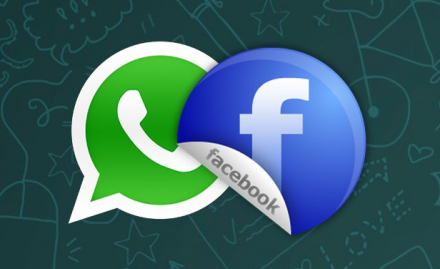 Whether you find WhatsApp’s assurances that it won’t misuse user data unconvincing or you’re simply uncomfortable with the idea of your WhatsApp account being linked to Facebook, you can easily opt out, although you only have a limited time to do so. WhatsApp is providing users with two ways to opt out. One way can only be done the first time you see the new terms of service so if you have already agreed then skip ahead to the second. You’re able to opt out of sharing your WhatsApp account information the very first time you see the app’s new terms of service. After seeing the notification that the terms of service have changed you’ll need to hit “read” to view the full document. Scroll all the way to the bottom and you’ll see a checkbox that says “share my WhatsApp account information with Facebook to improve my Facebook ads and products experiences.” Uncheck it, then tap agree. If you have already agreed to WhatsApp’s new terms of service and the account sharing, you can still opt out provided you do so within 30 days of when you first agreed. Head to Settings —> Account —> Share my account info and uncheck the box. You can read more about opting out on WhatsApp’s FAQ page. Note that WhatsApp says that even if you opt out, “the Facebook family of companies will still receive and use this information for other purposes such as improving infrastructure and delivery systems, understanding how our services or theirs are used, securing systems, and fighting spam, abuse, or infringement activities.” So you may never be fully unlinked from Facebook. But, at the very least, your WhatsApp account can’t be used to surface more creepily targeted Facebook ads.